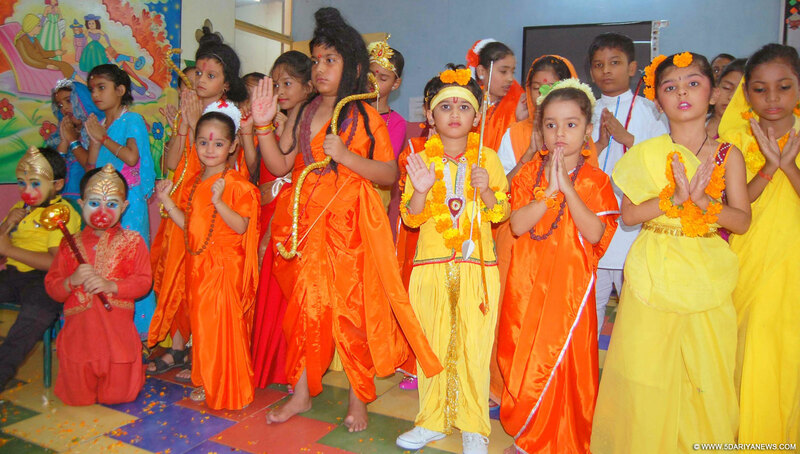 Ashmah International School sector -70 celebrated Dussehra with great enthusiasm and reverence. The whole campus was decked up with flowers and buntings & colorful lights. The main motive of organizing this event was to impart knowledge to the students about rich heritage of India; the celebration began with Explaining the significance Celebrating Ram Leela and Dussehra. Later, revelers dressed in vibrant attires of Lord Rama, Sita, Lakshman, Ravana, Hanuman, etc enacted various scenes from the Ramleela depicting the victory of good over evil and culminated with his defeat of the demon Ravan . While speaking at the moment Director, Ashmah International School, J.S. Kesar Said that Ramleela and Dussehra is a dramatic re-enactment of the life of Lord Rama which inspires us to follow the path of truth and motivates us to live with love ,affection and discipline .He further urged them to make rules and regulation to be successful in life.